NARS SHEER GLOW - Punjab - Initial Thoughts! Oh my god! how nice has this UK weather been ?! I'm sure I can speak for most of us as we are totally not used to heat waves haha. I'm so sorry that I have been a little distant, but I have had total drama with uni, as i'm approaching the final year now in my Business and Management Degree, plus work has been demanding as ever! who thought spa life would be so hectic haha. I also just wanted to say congratulations to all my lovely blogger girlies and guys that got through to the COSMO blog awards. I wish that I had of been able to get a bit more involved with the blog awards, but at the time I was so busy with a uni final and I was really struggling to blog, travel, work and do uni at the same time - So I'm going to be voting for my favourite blogs and routing for you all! 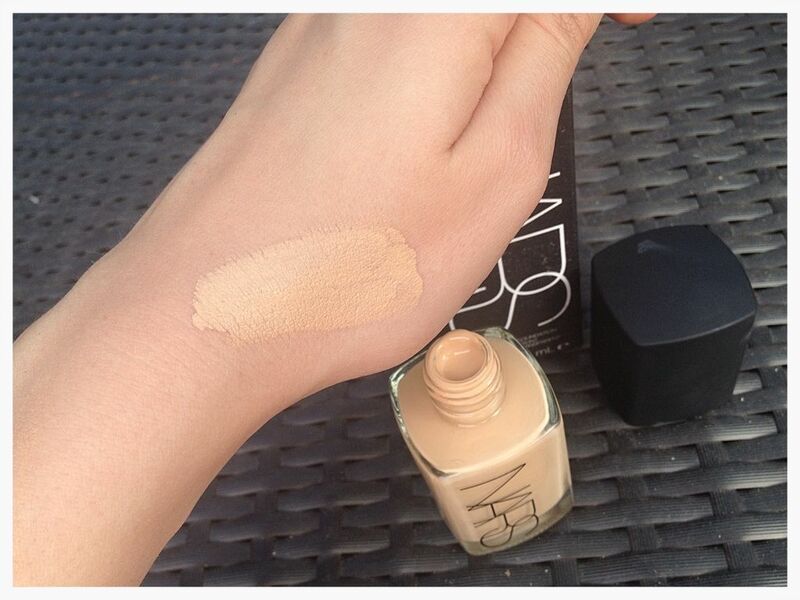 Anyway, today I'm going to do an initial thoughts post on my first ever NARS foundation! Considering i'm a make-up junkie I only have a few NARS products (Blushers) as NARS are extremely well known for them. I decided to take a trip to John Lewis in Cardiff and I met a lovely girl who I found out was also a blogger!! I was so happy and I love meeting new bloggers. She matched me up to the NARS Sheer Glow Foundation in Punjab and so far I have been really impressed. I love my Chanel and YSL foundations to bits, but after I broke out after using Laura Mercier I felt like I needed to try something new and NARS was my next mission! Pretty Please check out http://phazestyle.blogspot.co.uk her blog is gorgeous! and she is just getting back into blogging, and I think it would be great to show some true blogger support! The night before I visited the NARS counter I was checking out the NARS website doing my research true BBlogger style haha! and I was so so impressed with how NARS give details of the tones and shades of their products and I found it so helpful to know whether the products were pink, neutral, golden or peach toned. When I made my lovely new blogger friend we talked about what foundation would suit my normal to combination skin, and I was super happy when I found out that the Sheer Glow foundation was perfect for normal/combo skin - but sadly when I come to buy it my shade "Punjab" was sold out :( boo! so as you can imagine it was straight on order when i got home haha. I have worn the foundation twice so far and I am really enjoying it! my older sister said that it was the best match she had ever seen on my skin. The shade I was matched too was Punjab which is a light/medium shade with gold/peach undertones. Even though I'm quite pale I have neutral undertones opposed to pink! - plus I always opt for more yellowy/golden tones as it helps combat the slight redness on my cheeks. I love the silky fluid texture and I find it extremely easy to apply, as well as feeling super hydrating and comfortable on the skin. I love weightless foundations, but I feel that this foundation is going to be great to also build into a more medium coverage, which is great for events or going out! Have you used this foundation ? I would love to know your thoughts and any advice! I absolutely lovvveee this foundation. I've been using for about a year now and it's the only that doesn't cake that much on my dry skin. oh I need to try this! I think I would prefer it with a pump! but still want it heheh :D lovely review! Thanks for the mention India, it was a pleasure meeting you!! So glad you love this foundation! You know where I am if you need any advice on anything else! This has been top of my wish list for a while now, but I've had some others to finish up before I would allow myself to buy a new one. The time is coming! Looks so lovely and I've seen the way it comes across on people'sskin in Youtube videos - perfection! I just love the NARS packaging, it's just so unique and classy! 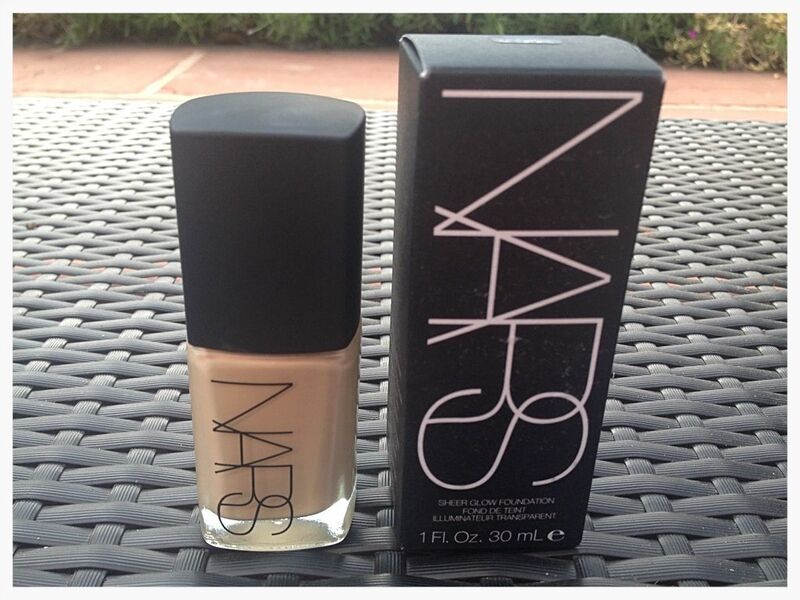 I just got my first NARS product, their concealor, and I'm so tempted to add this to my collection. I've been wanting to try this for ages but for some reason or another have always bought something else instead. I think I need to jack it up to the top of my wishlist for when my next foundation runs out! Blogginup is a bloggers tool that allow you to increase the traffic to your blog. It is also a website that allows users follow content of blogs that you like in the easiest way. The user can follow your content and with labels marking the post or blogs. Hundreds of bloggers use Blogginup.com. I invite you to come and add your blog in less than 1 minute and start having your own followers to follow your blog.